A Company With Children, Pets & Plants in Mind! 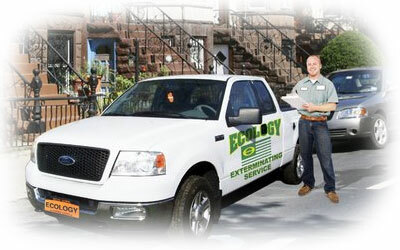 Ecology Exterminating 800-737-8266 has been providing pest control service to Brooklyn, Manhattan, Queens, and the Bronx since 1973. Trained and certified exterminators provide unparalleled professional pest control services to homes, businesses, nursing homes, hospitals, hotels, and restaurants. If you suspect that you have a pest problem, do not hesitate and call us today. All major credit cards accepted. Even if you have only a slight visible pest problem, there is a good chance that there are more pests lurking in and around your home. Treating a pest problem early helps to ensure that your problem doesn’t escalate into an emergency. A pest-free environment is one of the best ways to maintain high occupancy rates. 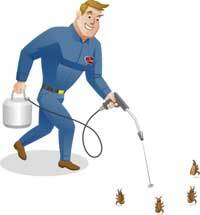 We provide pest control services to Apartment & Condo Complexes, Hospitals/Nursing Homes, Office Buildings, Restaurants, Hotels, Schools and Shopping Centers. Don't wait till a problem comes along! Careful and continuous maintenance is absolutely essential for long term success.